in 2009, the William Robinson Gallery opened in Old Government House at the Queensland University of Technology, Brisbane. It was the first time in Australia that an artist had been honored in such a way. 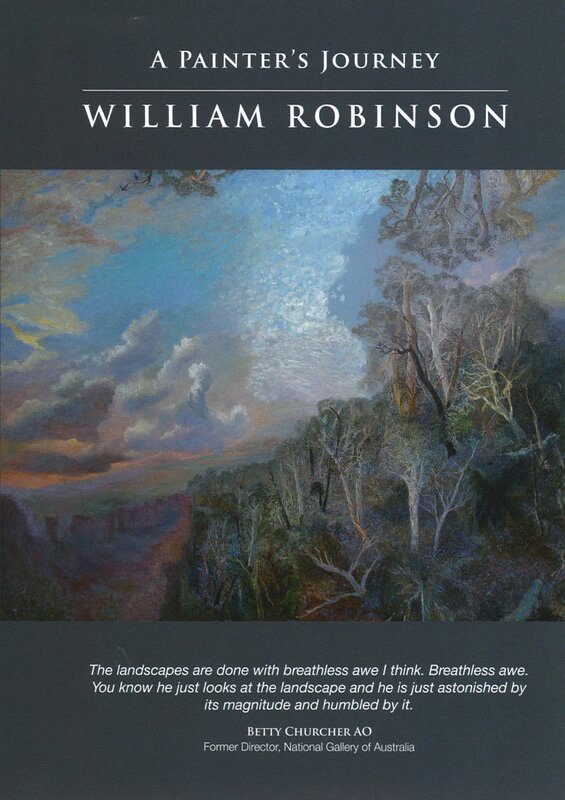 A painter since the 1960s, William Robinson came to national attention when he won the Archibald Prize for Portraiture in 1987 and again in 1995. He also won the Wynne Prize for Landscape in 1987 and 1996. In 2007, William Robinson was appointed an Officer of the Order of Australia (AO) for his outstanding achievement and service to the arts. William Robinson: A Painter's Journey is a compelling documentary tracing the places that have inspired the painter-from his early farmyard painting to the majestic Creation Landscape series and most recently, the quiet still life paintings drawn from the intimate surrounds of his Brisbane house and garden.